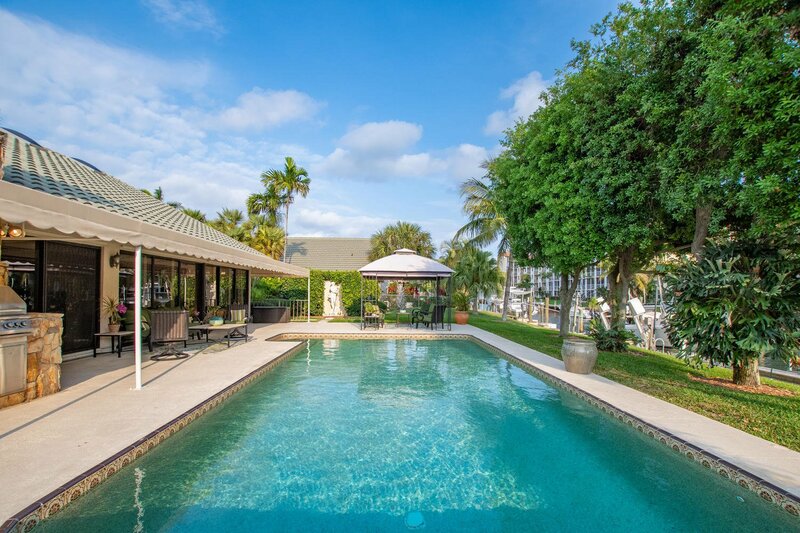 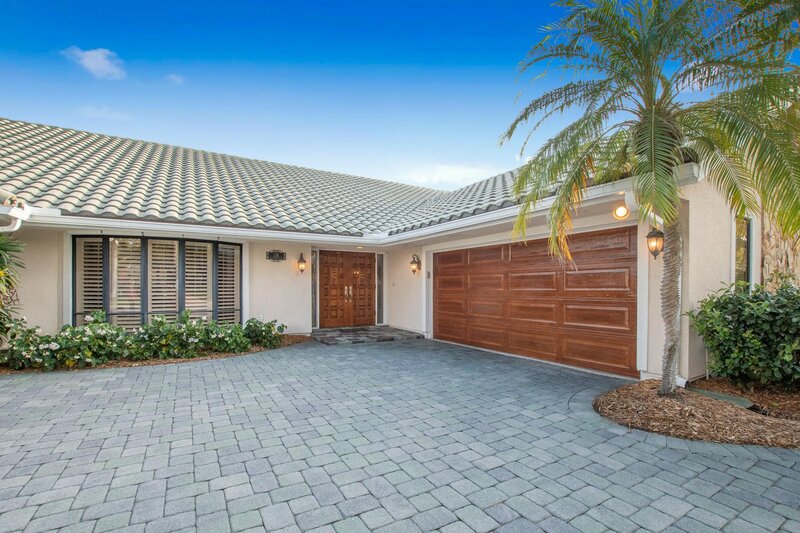 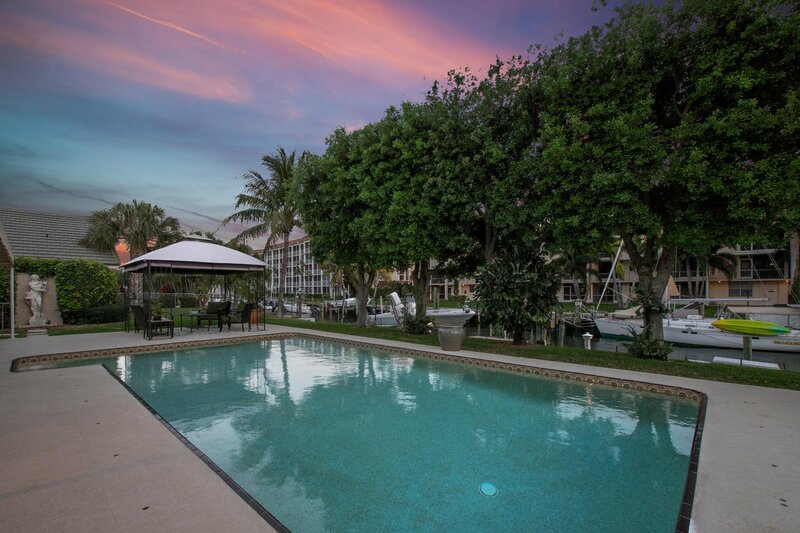 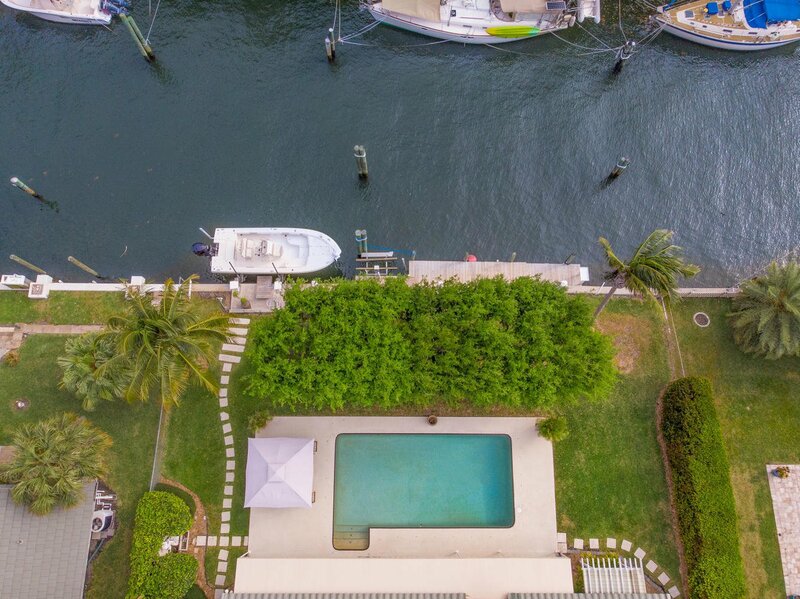 EXCEPTIONAL WATERFRONT pool home with private dock just off the Intracoastal on Anchorage Drive South in North Palm Beach. 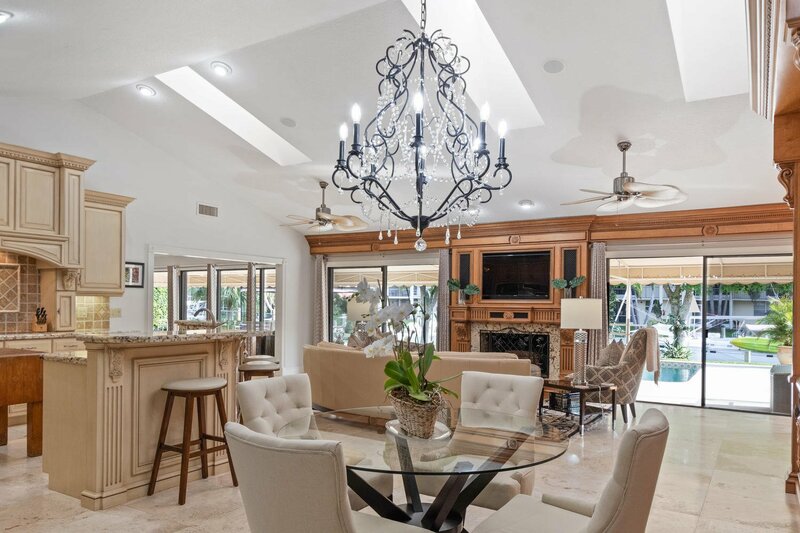 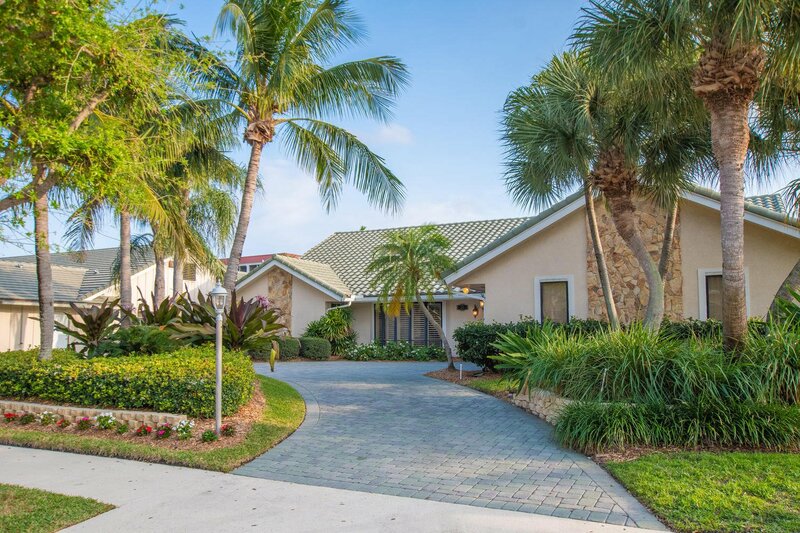 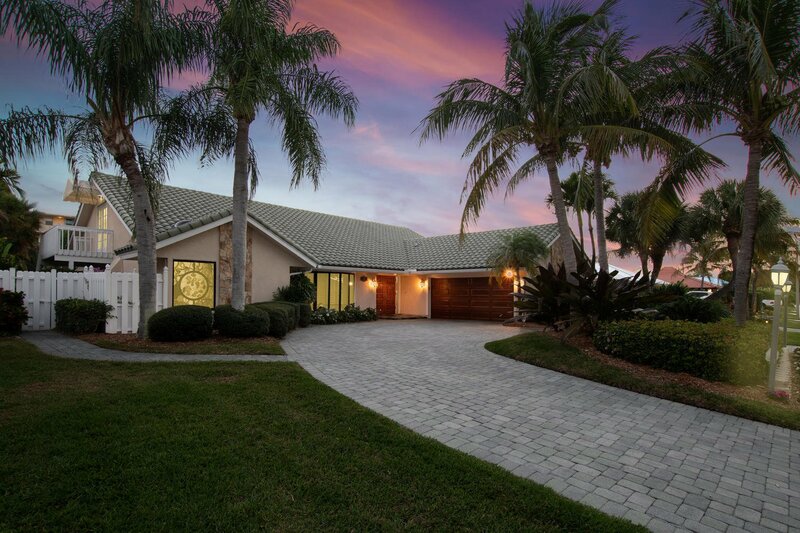 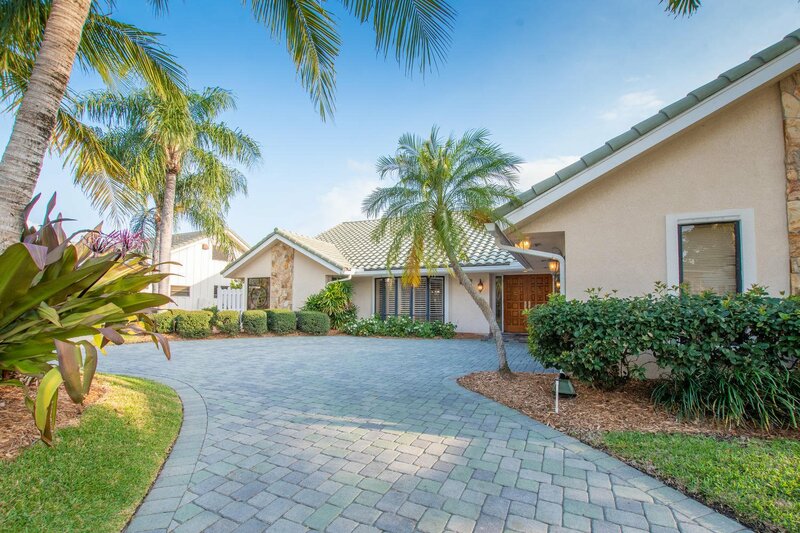 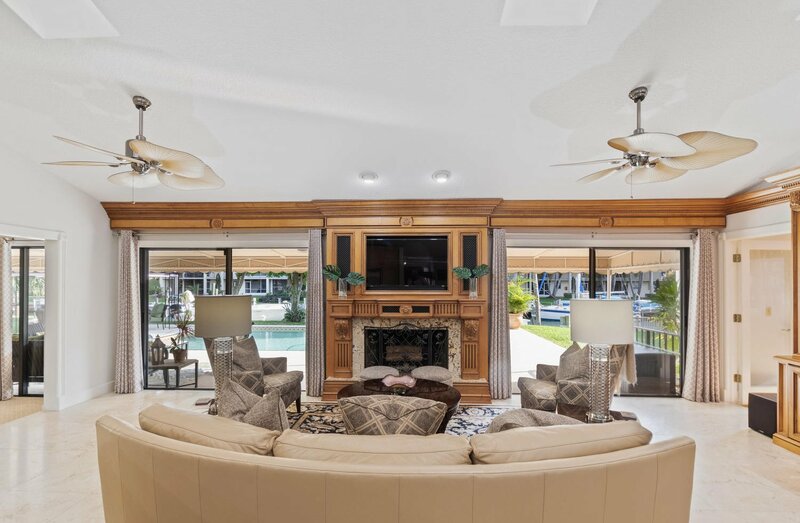 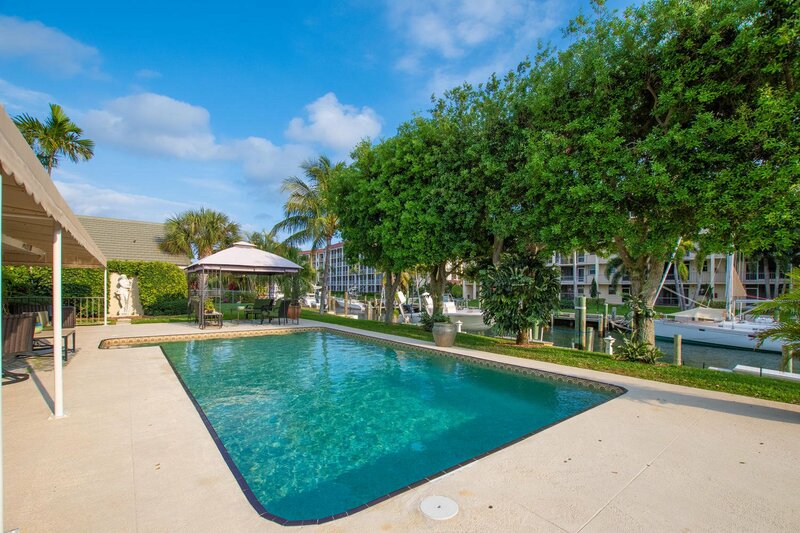 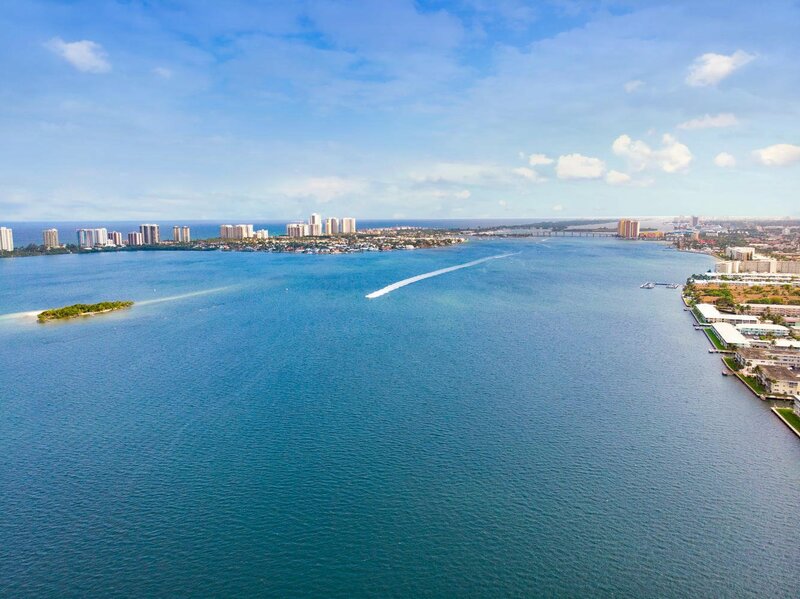 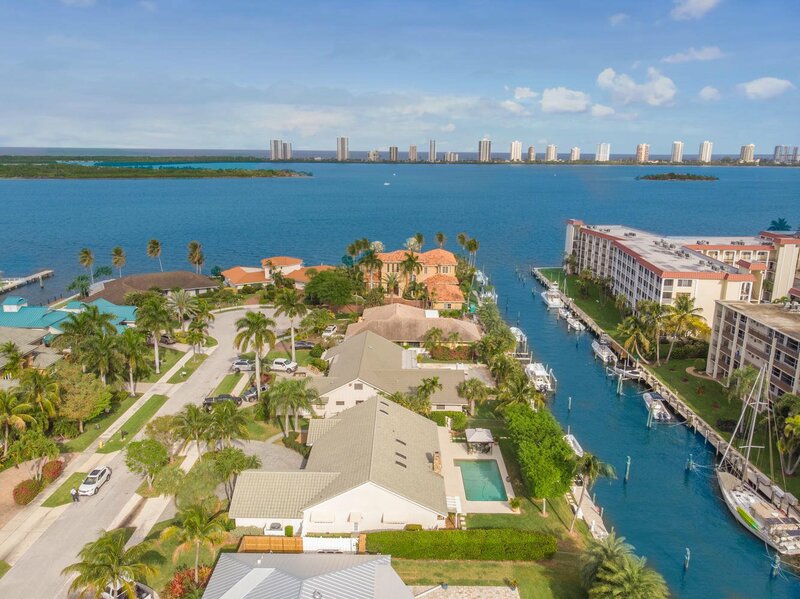 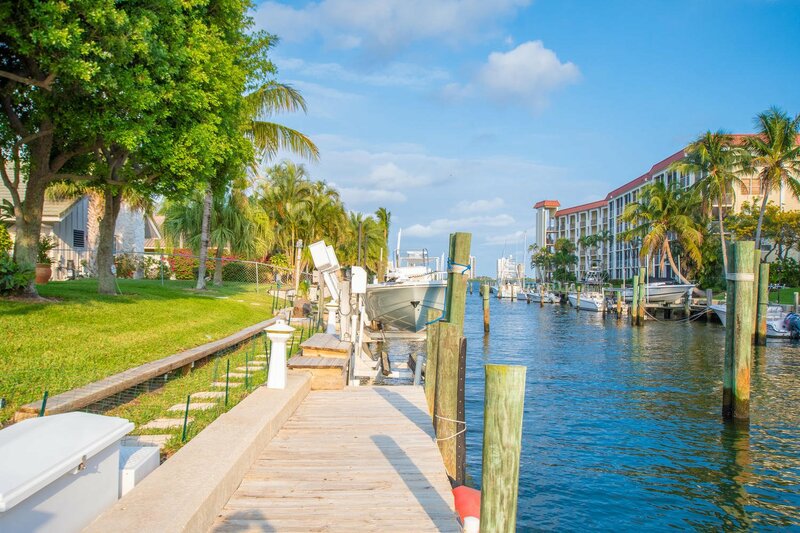 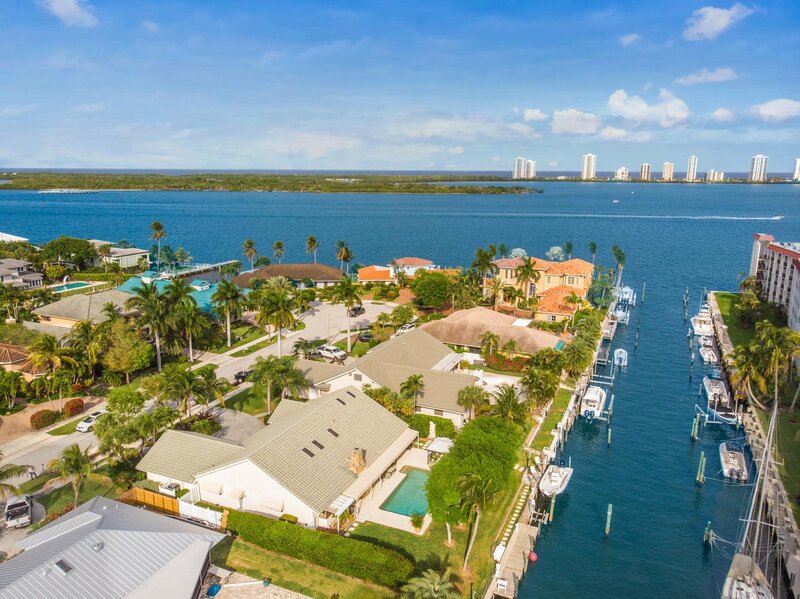 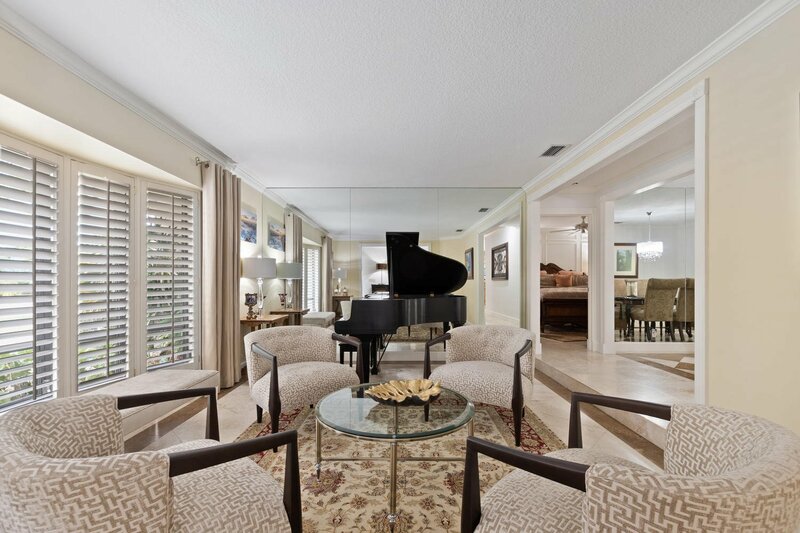 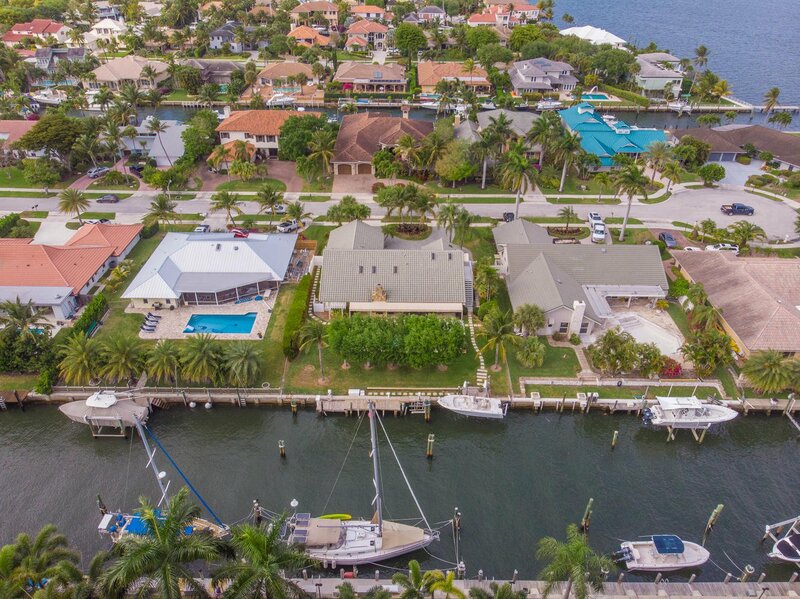 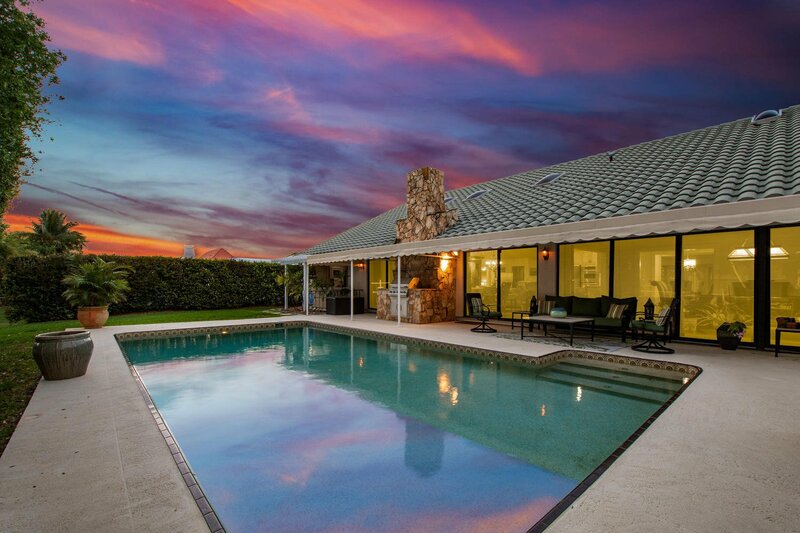 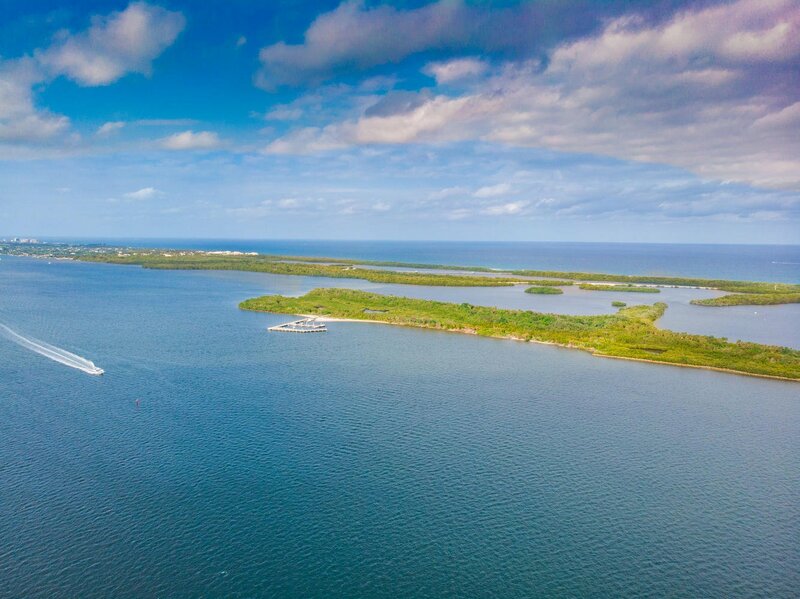 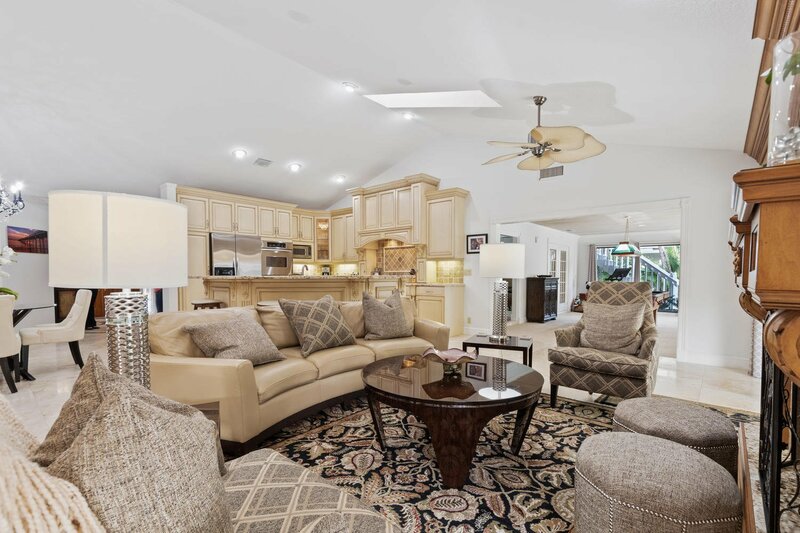 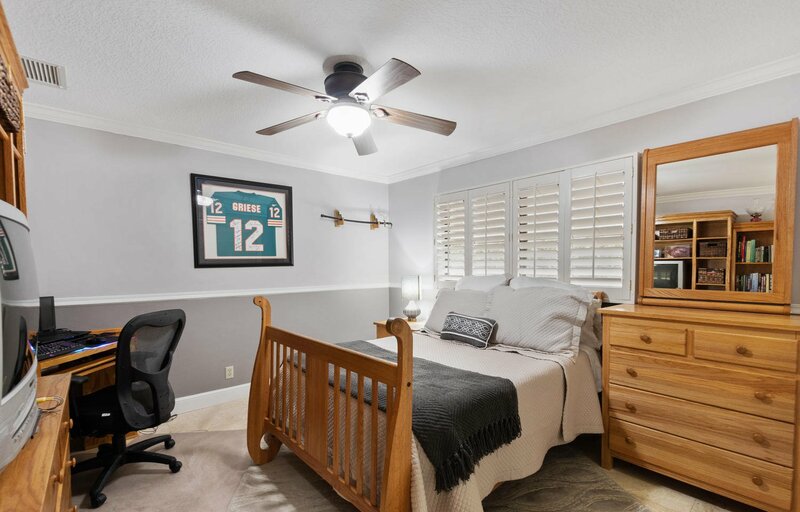 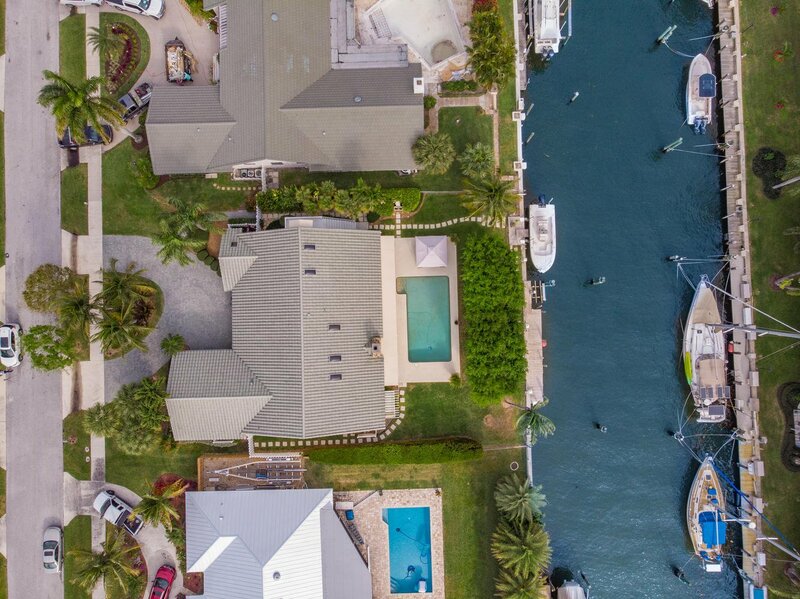 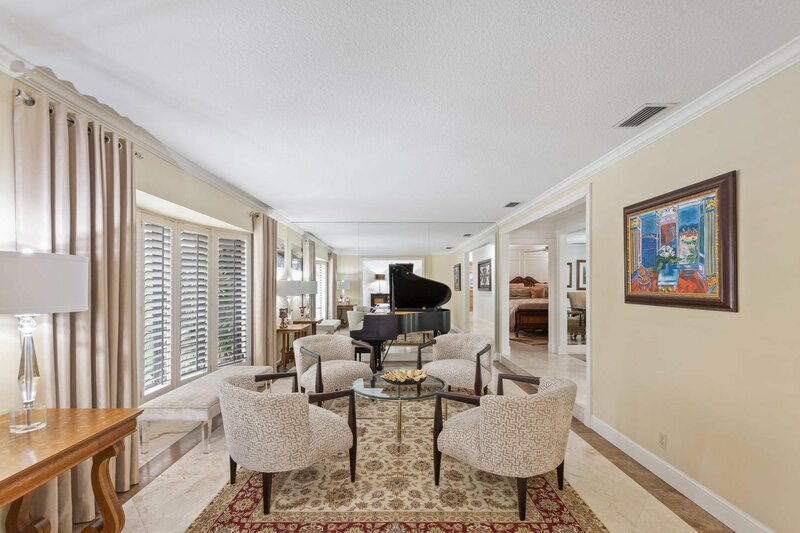 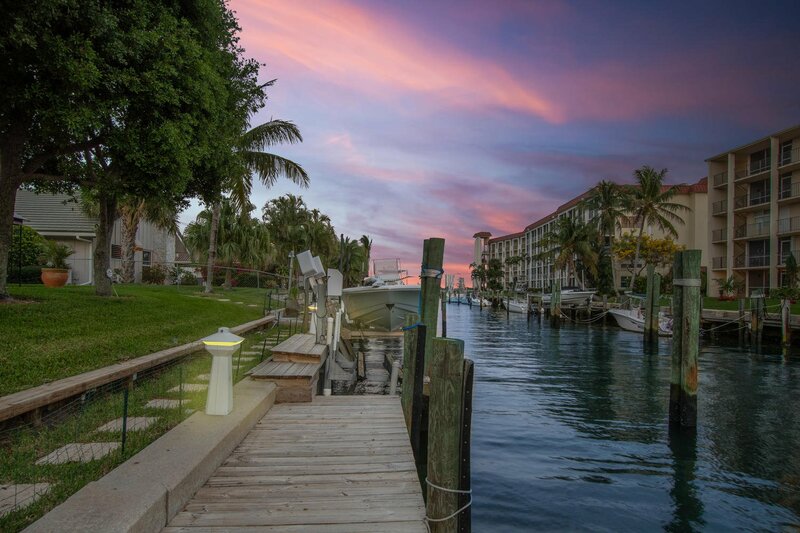 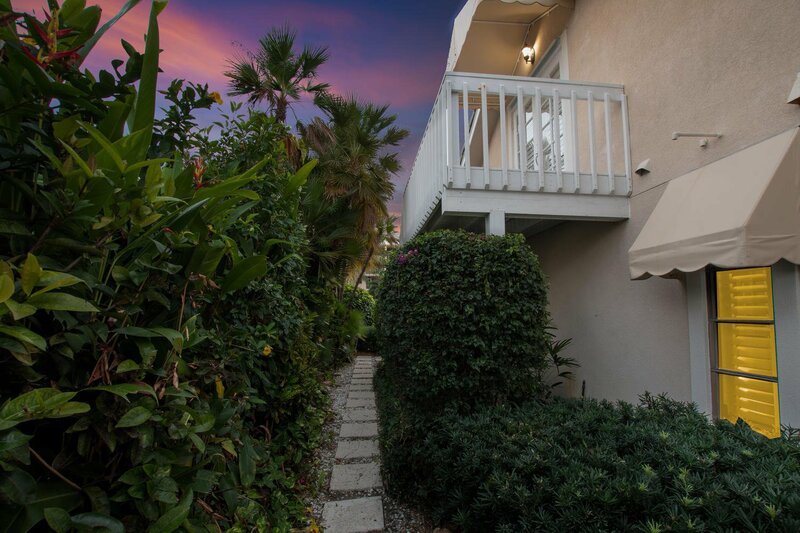 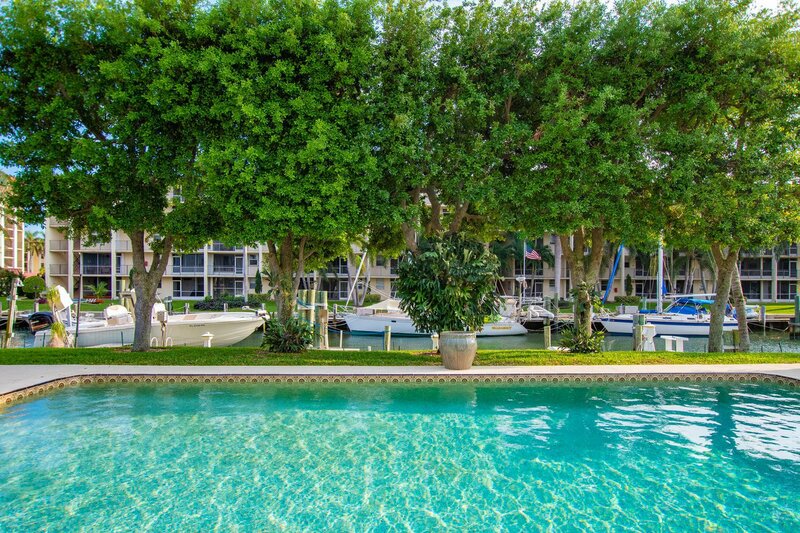 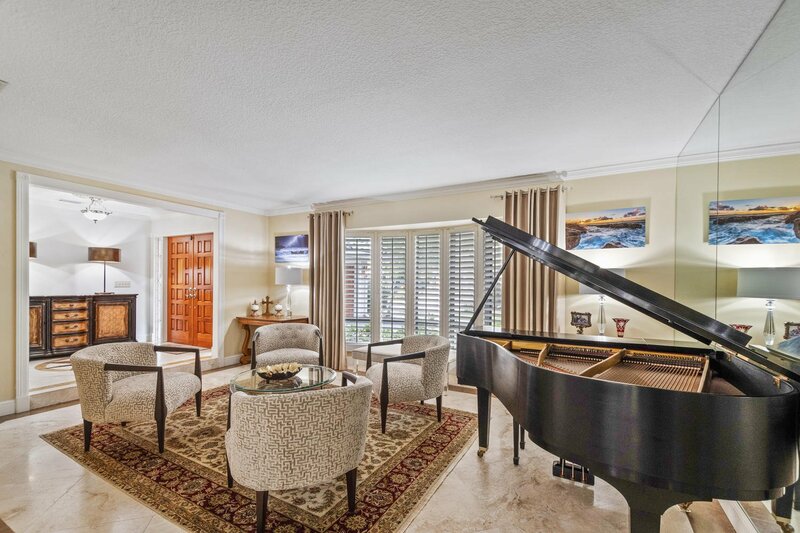 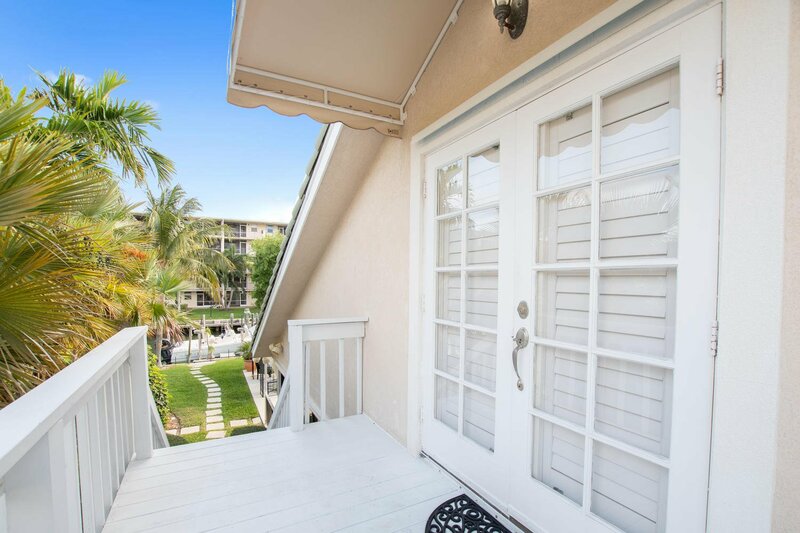 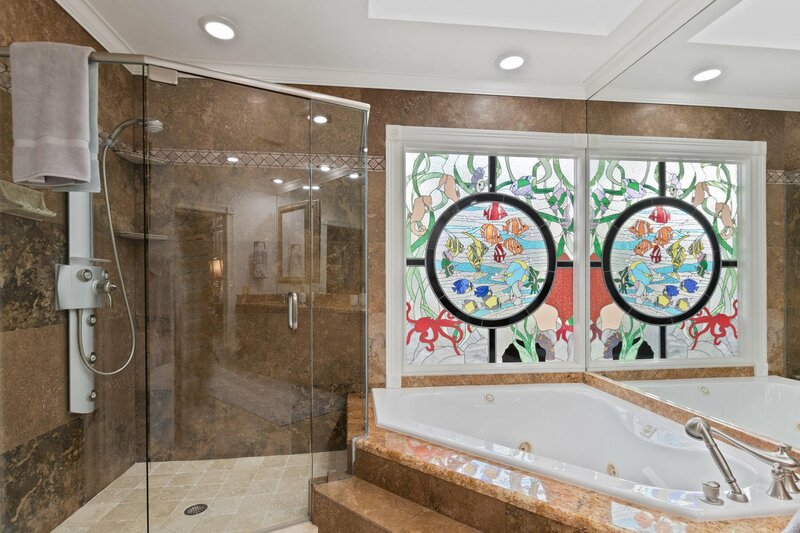 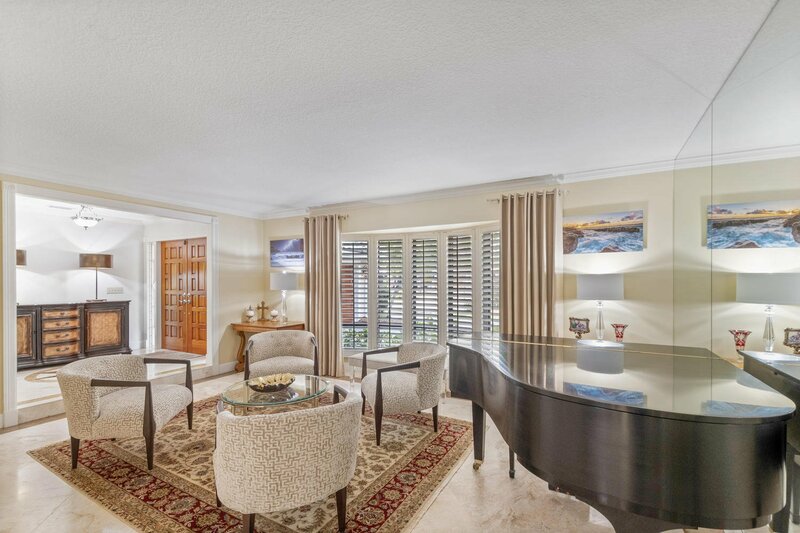 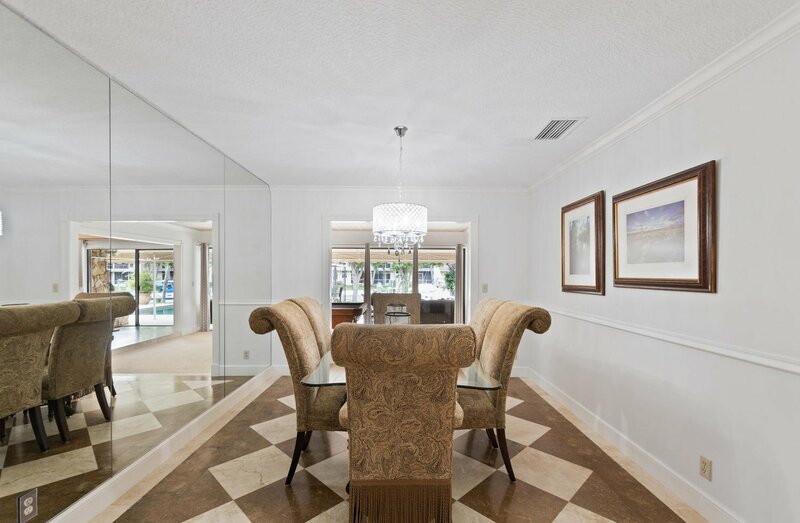 Deep water frontage for yachts up to 70' can be found in this single story home with over 3300 sq ft of living, 4 bedrooms and 3 baths located just seconds to the Intracoastal. 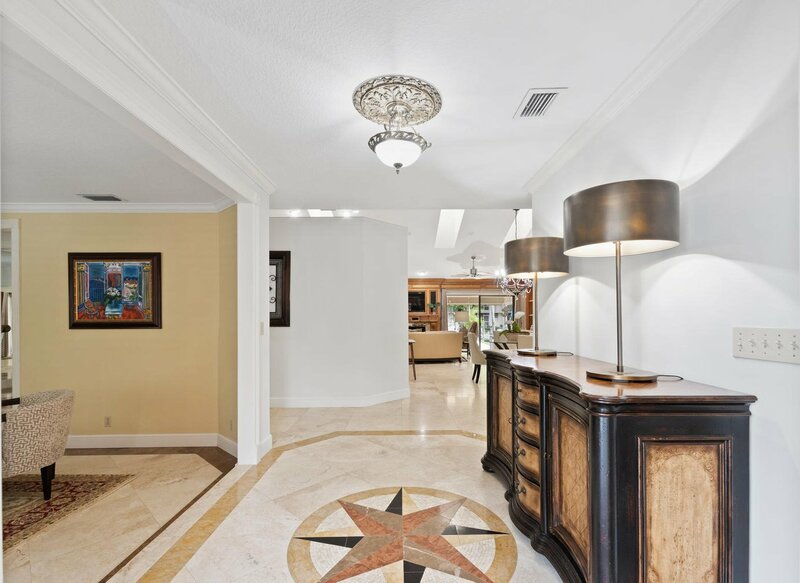 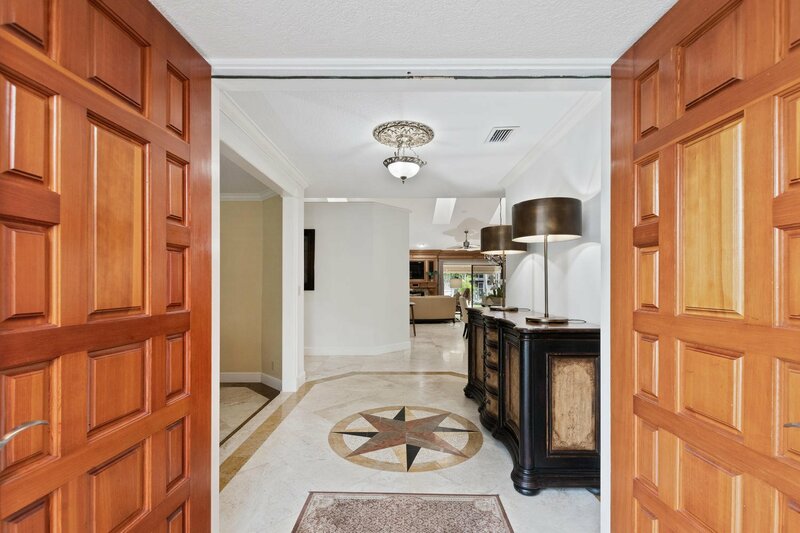 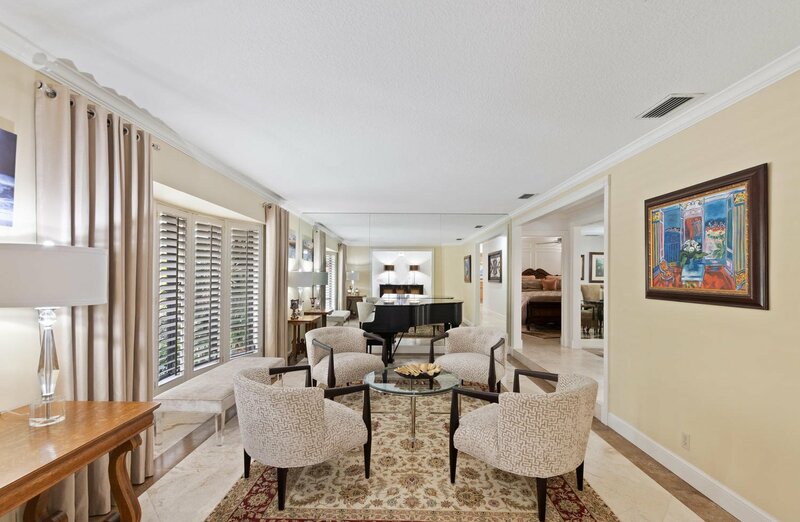 Enter this home from the circular driveway into the foyer with an adjacent formal living room and adjoining dining room. 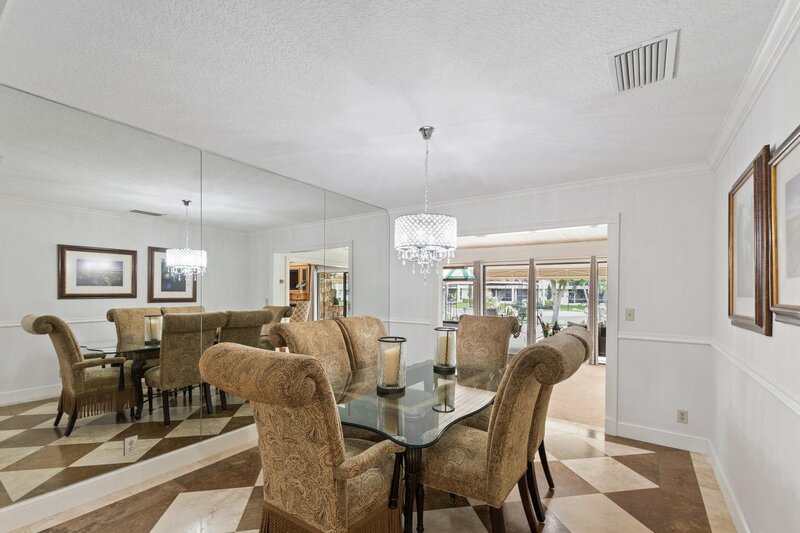 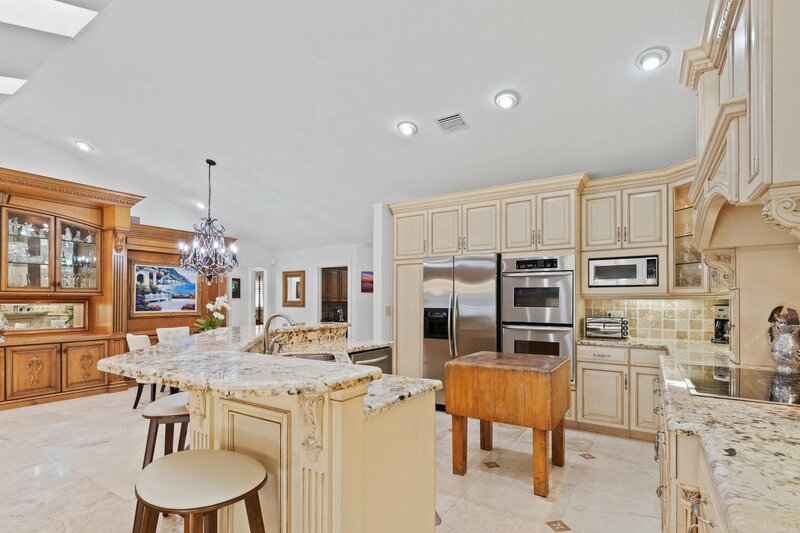 The heart of the home is the large open plan family area with updated kitchen, breakfast area, family room. 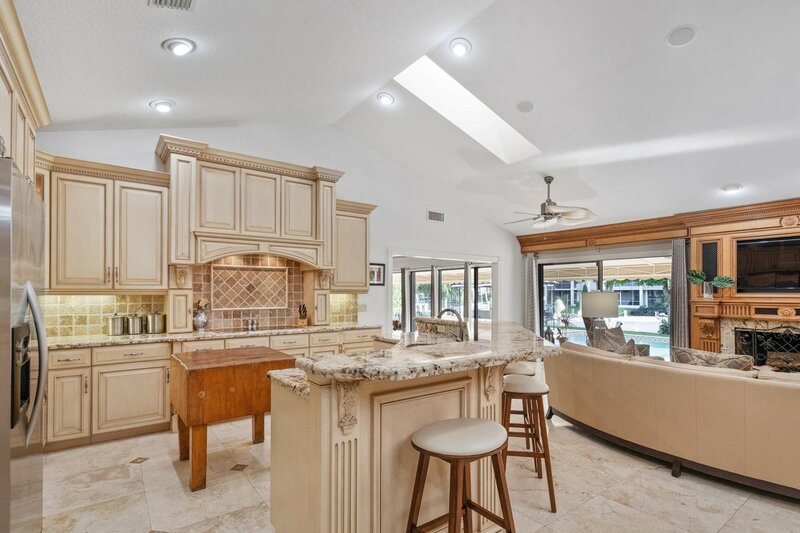 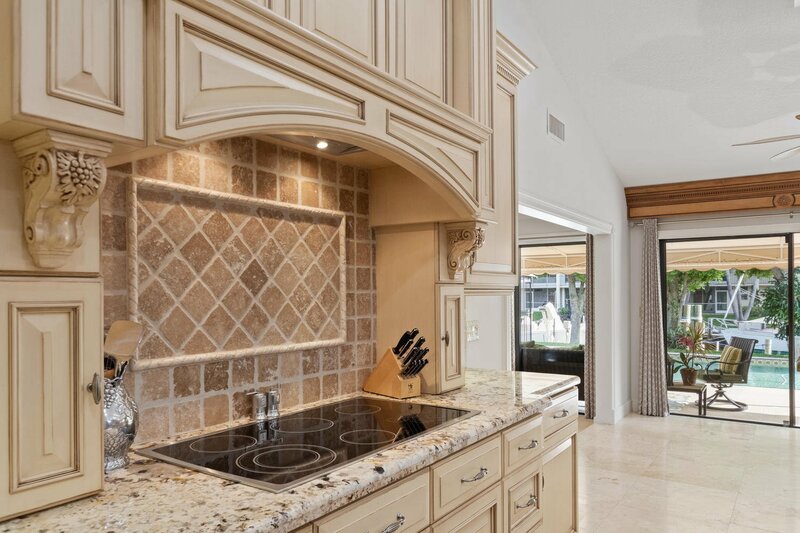 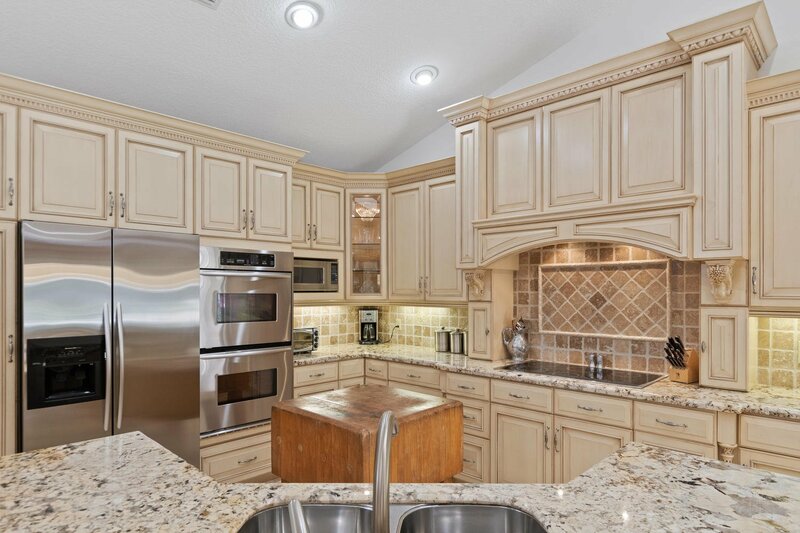 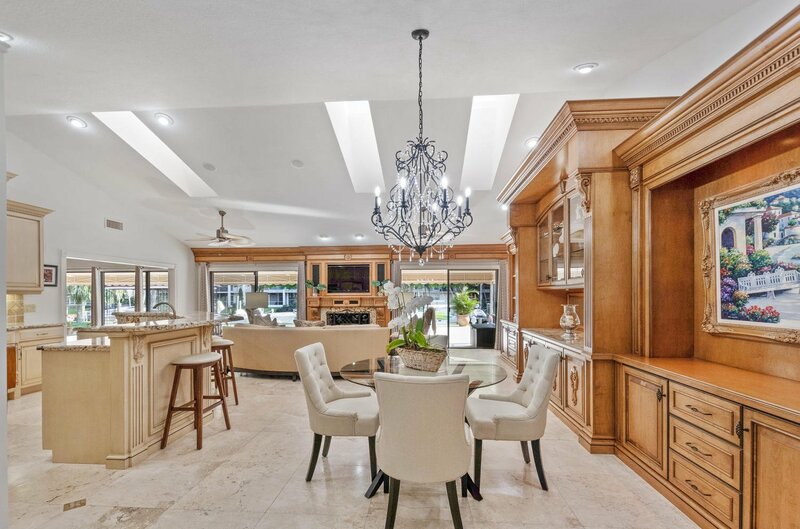 The kitchen boasts a large island overlooking the family room, an abundance of custom cabinetry, reaches of granite countertops and sparkling stainless appliances. 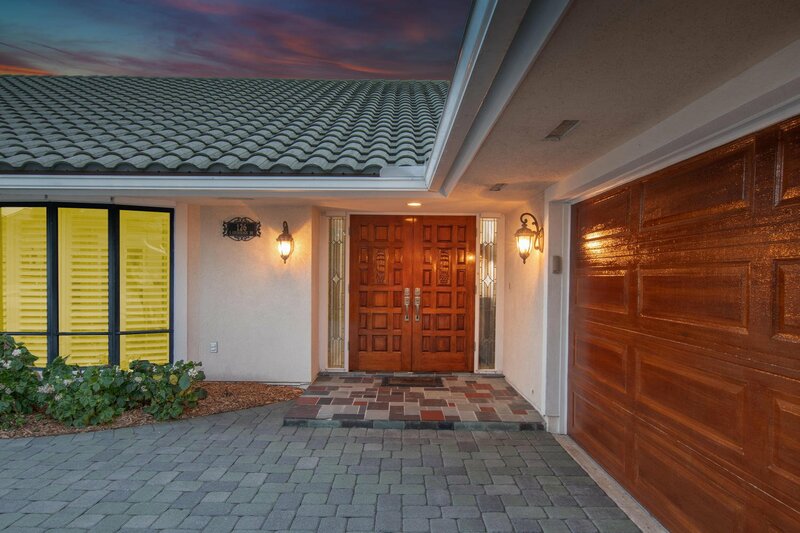 Hard coat stucco finished with Dryvit; acrylic product therefore home never needs to be painted. 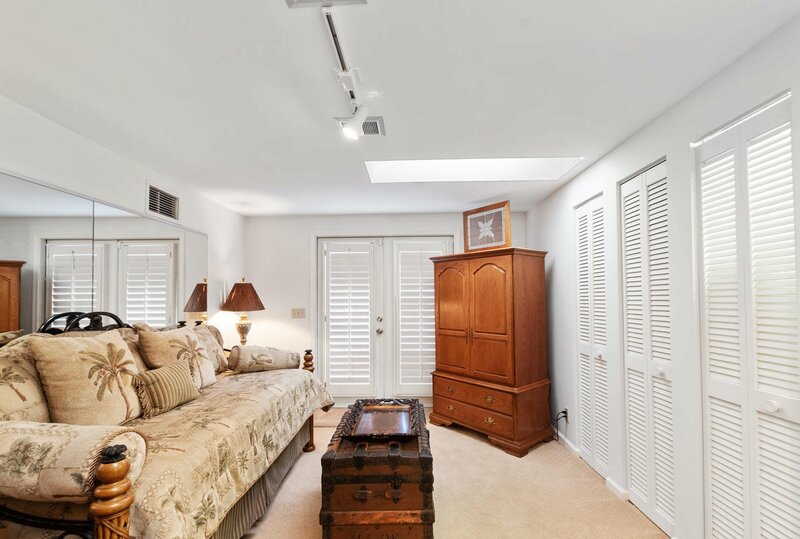 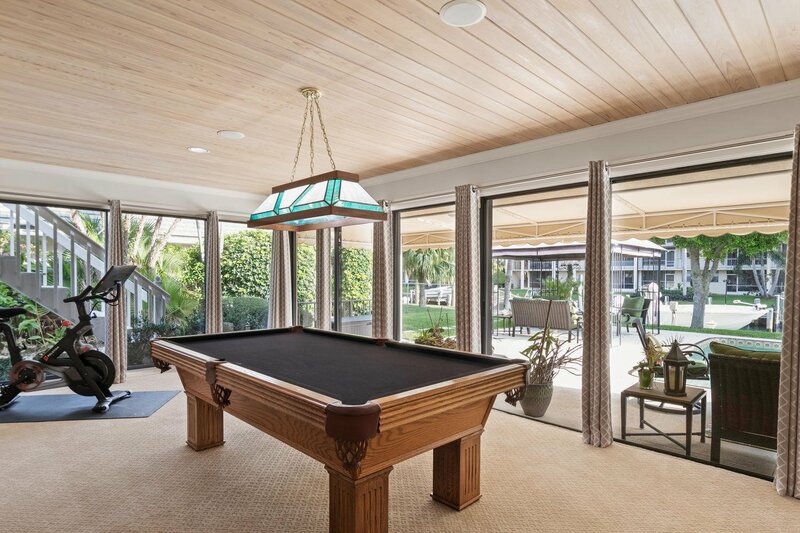 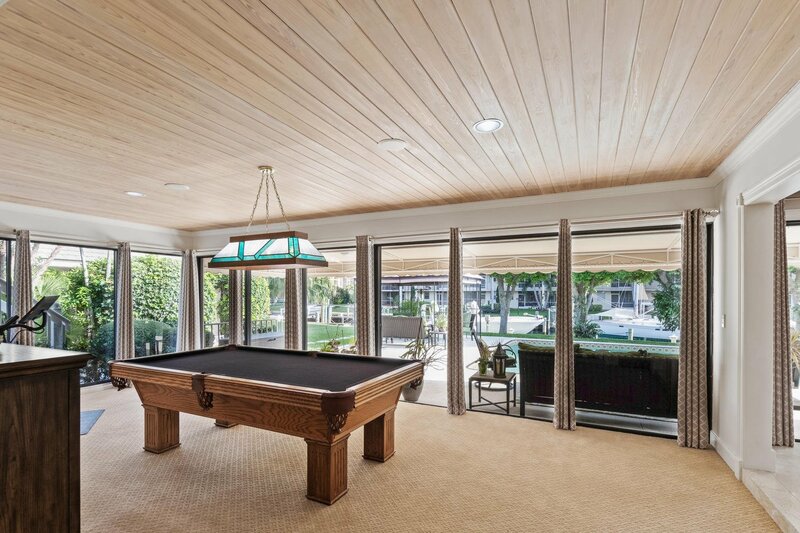 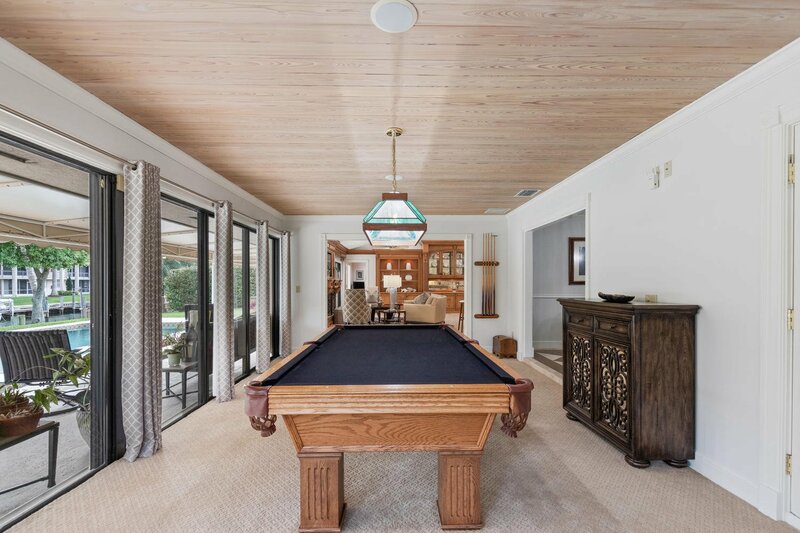 The family room is light and bright with a wood burning fireplace and an attached game room. 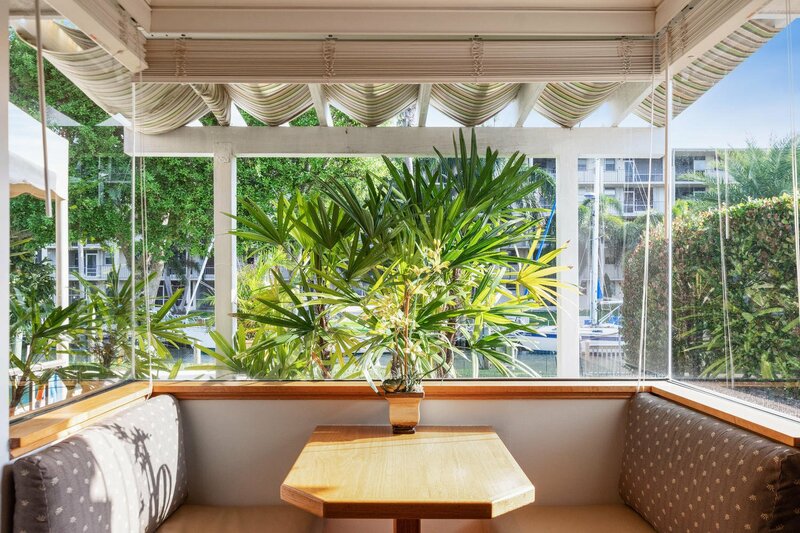 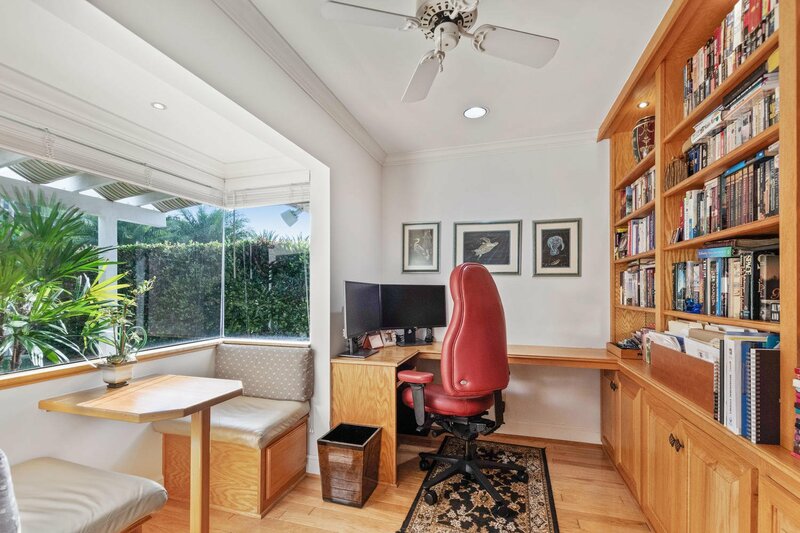 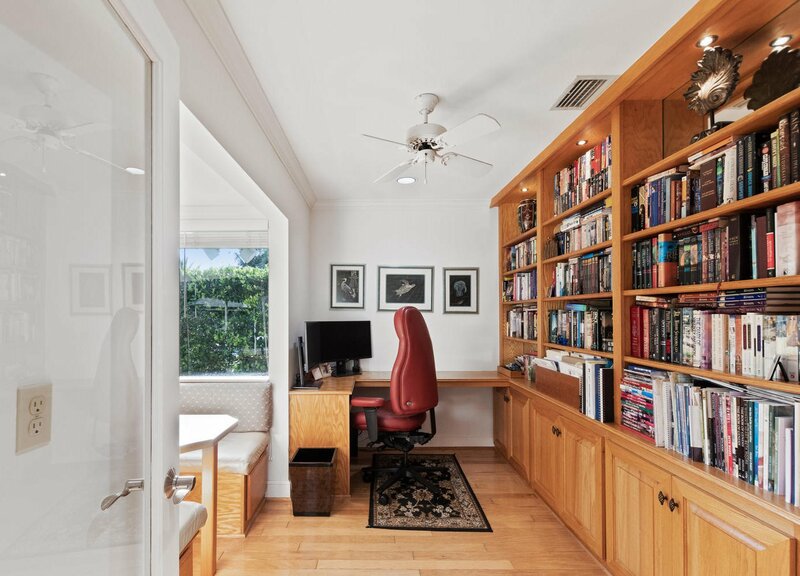 An office with banquette seating and views of the water is the perfect place for work. 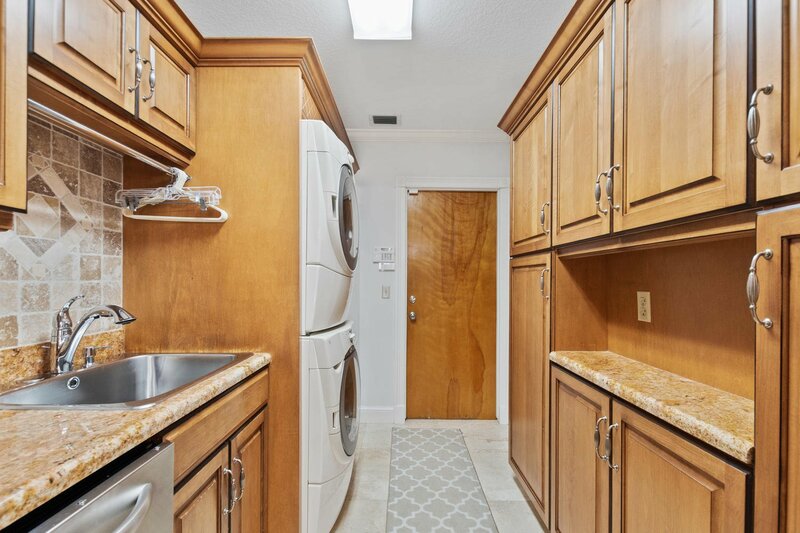 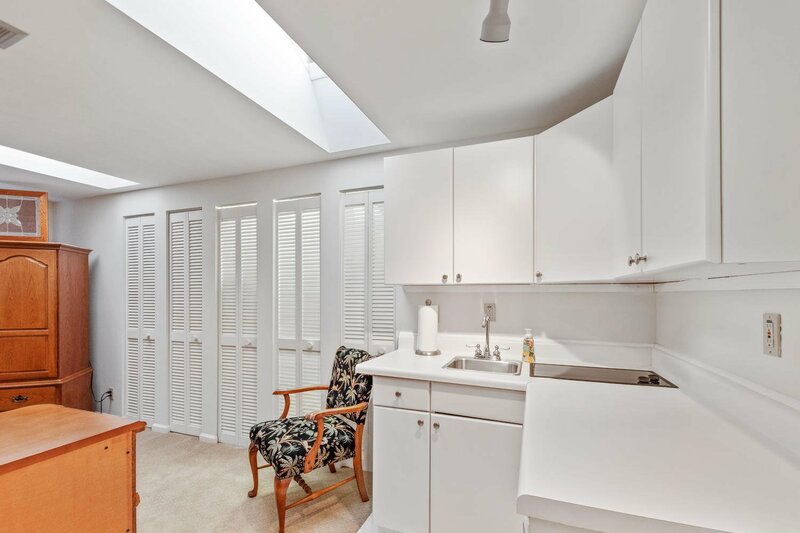 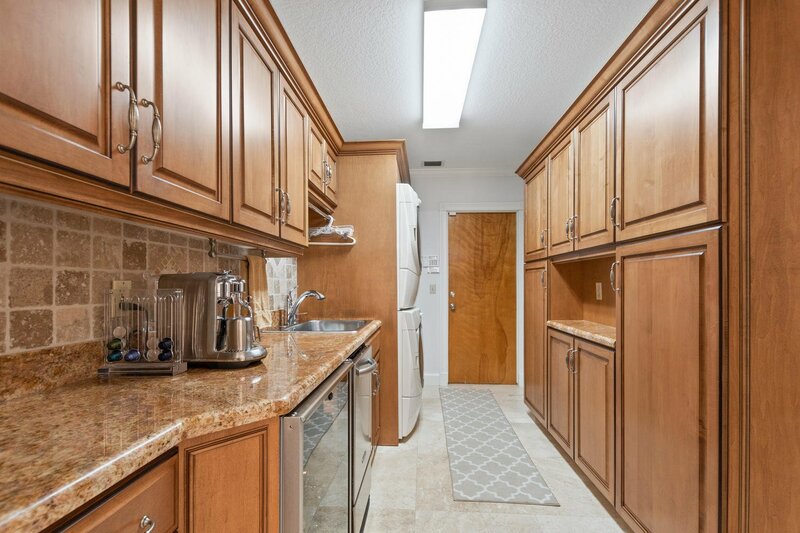 The laundry area is large with additional refrigeration and wine storage. 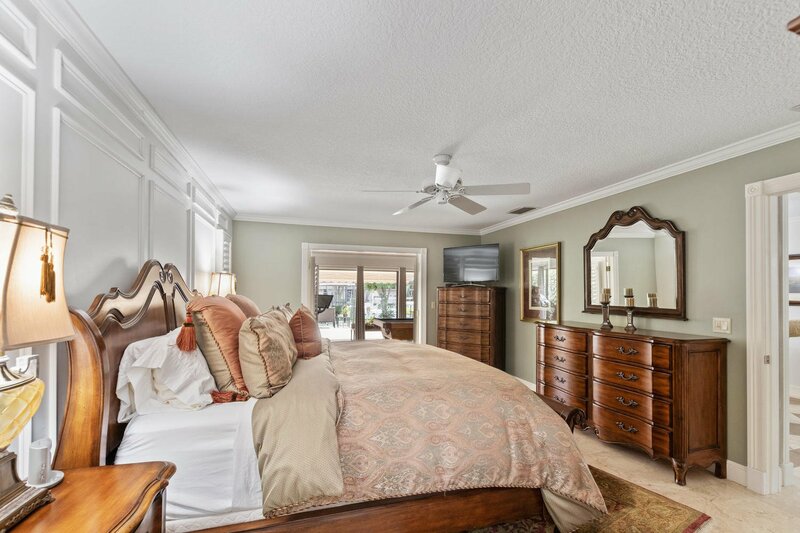 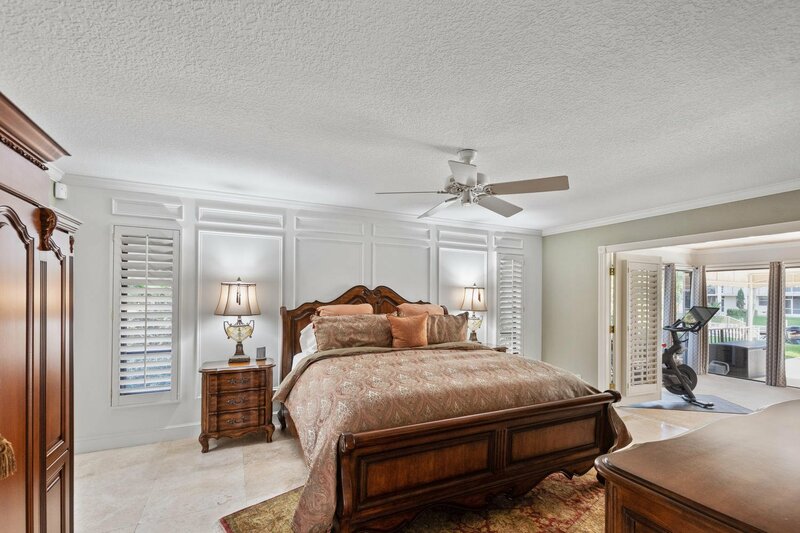 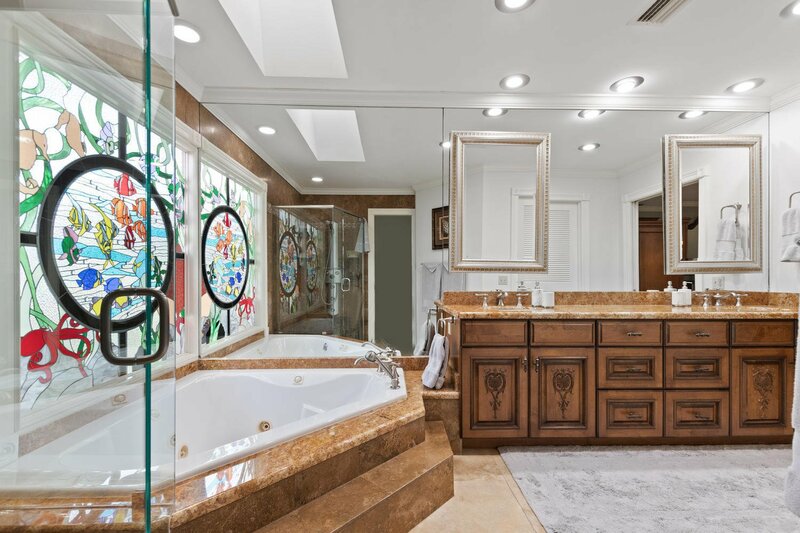 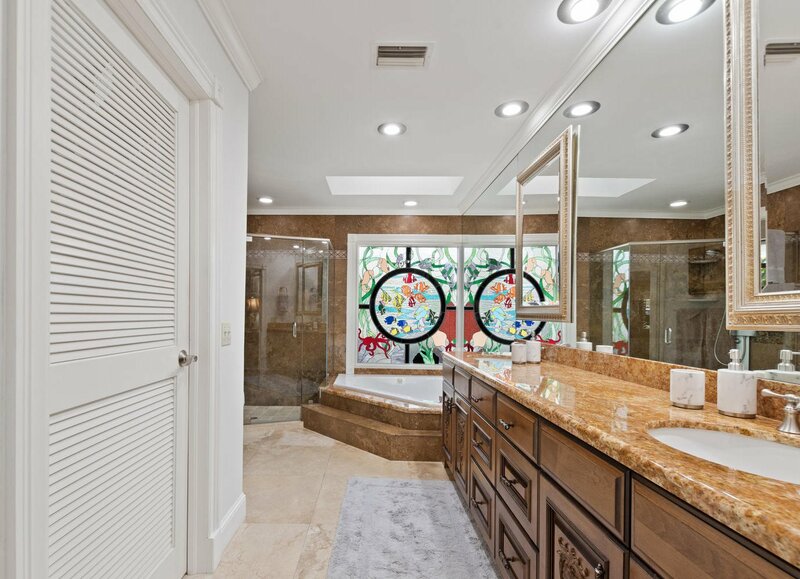 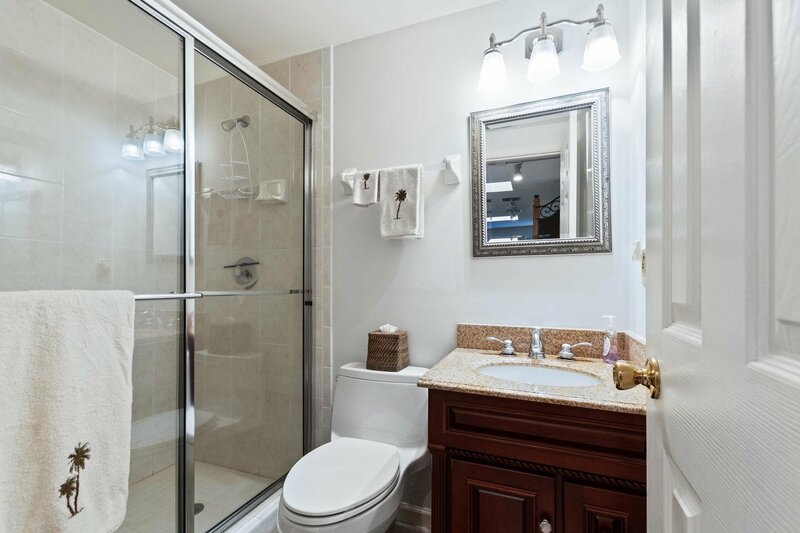 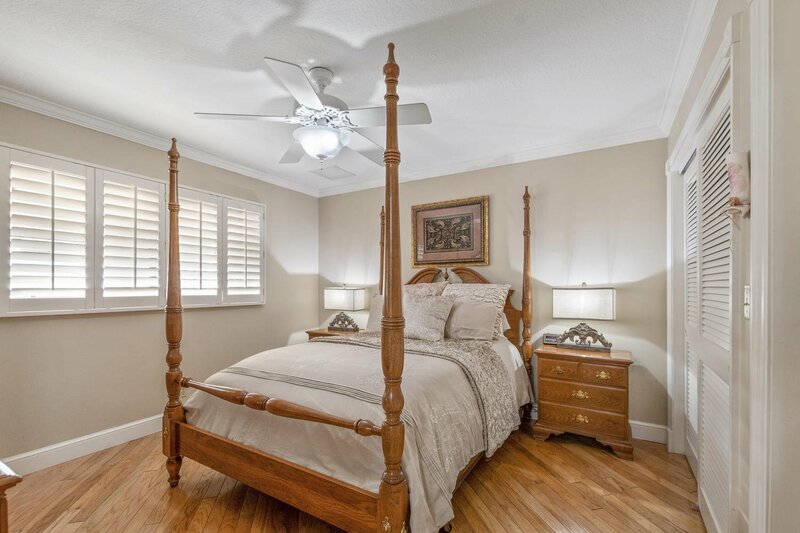 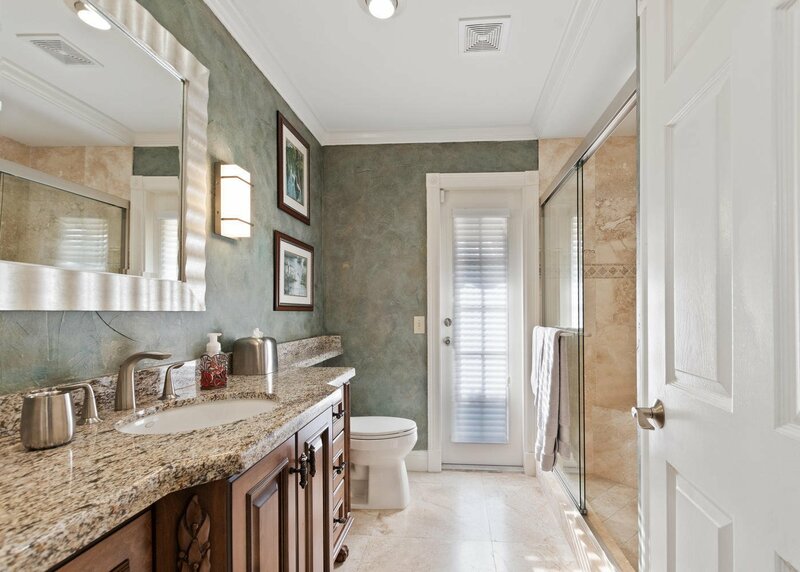 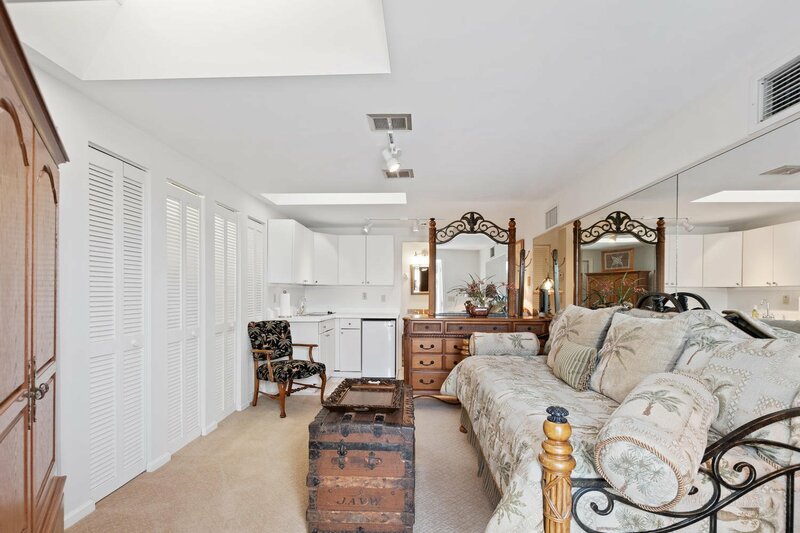 The master suite is sumptuous with sitting area and spa like master bath. 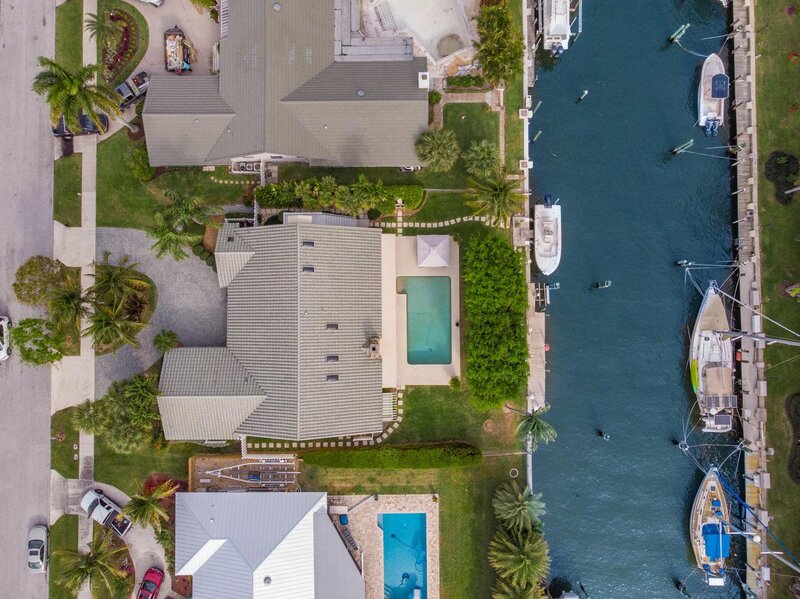 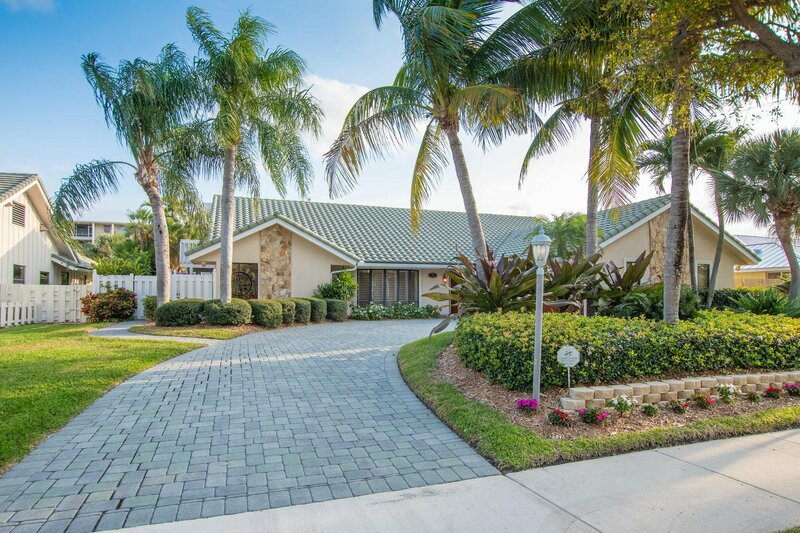 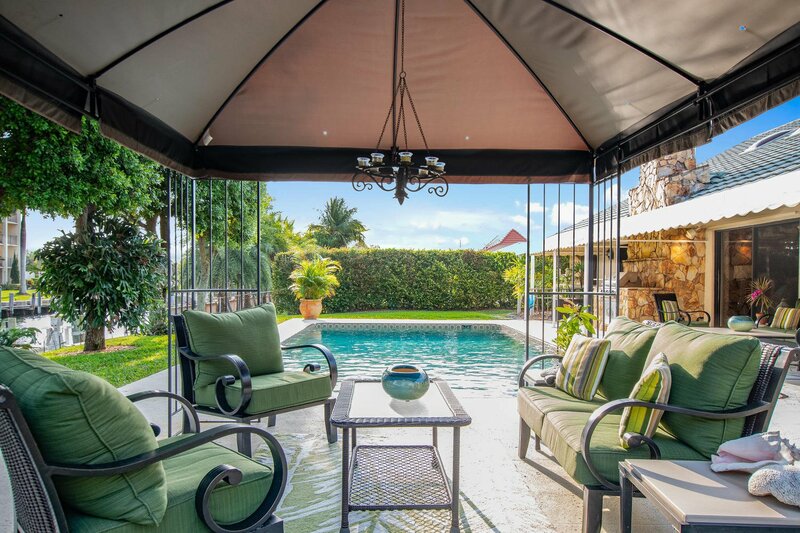 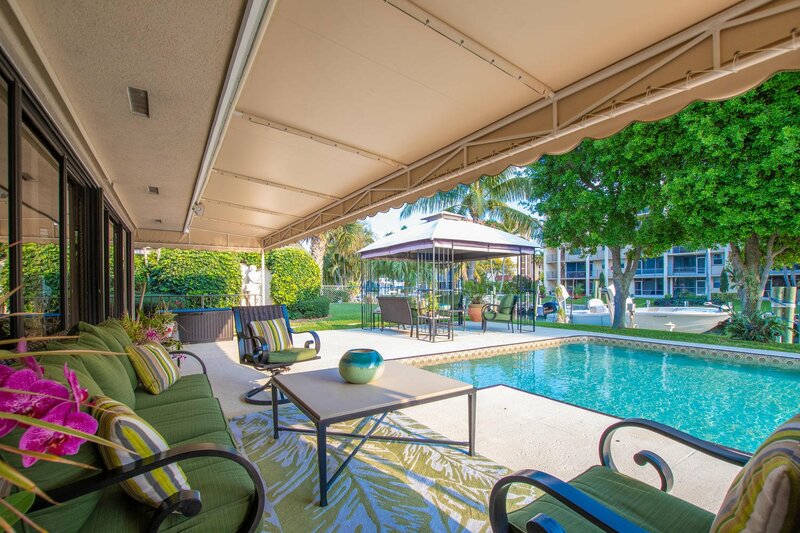 The ultimate in Florida boating can be found in your large backyard with tropical pool and deep water canal with 100 ft of frontage, a private dock with water and electric, boat lift, jetski lift and seconds to the Intracoastal, no fixed bridges to open water.